Forget conventional hoses–try Kanaflex hoses in Norwalk CA for superior performance and durability. Are you ready to change the way you think about hydraulic hose? Try Kanaflex hoses in Norwalk CA. After over 60 years of research and testing, Kanaflex has developed revolutionary production methods that result in superior quality hose that can outperform just about any conventional plastic or rubber hose. 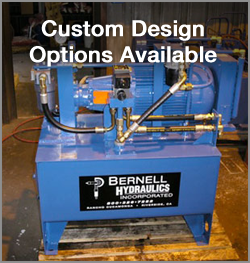 Expertise: At Bernell Hydraulics, we actually understand the products we sell. This means our staff can do a lot more than just place orders for you–we can actually provide accurate and reliable advice about the best parts for your specific needs. If you need help selecting your Kanaflex hoses in Norwalk CA, just ask and we’ll make sure you get the correct type, size, and pressure capacity for your needs. Convenience: With four stores in southern California plus an online shop to serve you, it is very convenient to source your Kanaflex hoses in Norwalk CA from us, no matter when or where you might realize you have a need. If we don’t have the hoses you need in stock, we can order them and deliver them to your local job site or ship them anywhere in the US. Support: If you should ever need hose repair in our local service area, we have a 24 hour repair service you can count on for help. Assuming your hose is in stock among our thousands of products, we can provide a fast and reliable replacement. If you suspect your hoses aren’t performing like they should, we can help you troubleshoot the system and recommend any necessary improvements. Ready to Buy Kanaflex Hoses in Norwalk CA?